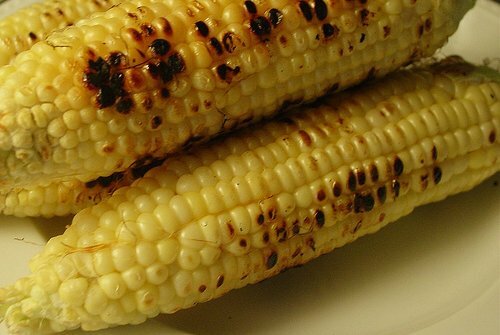 Grilling corn on a charcoal grill brings out its sweetness and is a great complement to any barbecue. 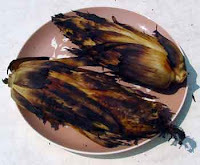 While there are many recipes for grilled corn, the technique for grilling it is what is most important. Grilling corn is very simple and can be done using three different methods: in the husk, in foil or directly on the grill. So once you have the charcoal grill all fired up, follow the tips below to make perfectly grilled corn. 1. Remove loose husk from the corn and cut off any extra silks hanging from the end. 2 Soak the corn in cold water for about 15 minutes. Make sure that the corn is completely submerged. 3. Take the corn out of the water and shake out all excess water. 4. Place the corn on the grill and cover it. 5. Turn the corn every 10 to 15 minutes so that the husks do not char too much. 6. 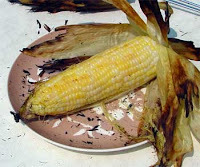 Remove the corn from the grill once the husks have turned dark brown. 7.Peel back the husks to expose the golden corn. Season the corn with salt and pepper, and butter. Use any seasonings of your choice. Chili powder is a San Antonio favorite topper for grilled corn. Alternate method: Peel and de-silk corn then wrap in foil brushed with olive oil and grill for 15 minutes. Remove the husk and all of the silks from the corn. Brush the corn with olive oil or butter. Season with salt and pepper and any other seasonings of your choice. 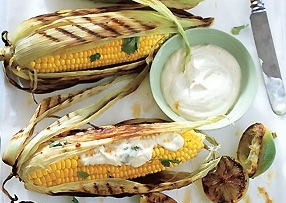 Place the corn directly on the grill. Grill the corn for about 10 to 15 minutes depending on how charred you like the corn. Turn the corn often so that it does not burn. It should be slightly browned on all sides. Remove the corn from the grill and it is ready to eat. Really want to go South of the border, try this great chili-lime sauce to brush on your cobs. A little less calories than butter too.